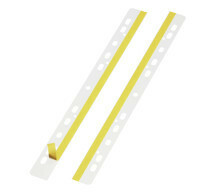 Self-adhesive filing fasteners with extra large adhesive area (60x100 mm). Ideal for filing heavy, unpunched documents. Self-adhesive filing strips with universal punching for filing unpunched documents in files and ring binders. 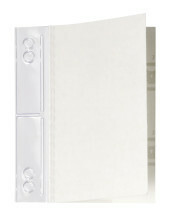 Ideal for catalogues, brochures, photos and drawings.